Richard J. Powers, DPM is a graduate of Loyola University, and graduated Podiatric medical school from the Dr. William M. Scholl College of Podiatric medicine. He then completed his surgical preceptorship in Waterloo, Iowa, followed by his surgical residency at Lakeside Community Hospital, under the direction of podiatric author and educator, Dr. Irving Pikscher, DPM, in Chicago. Dr. Powers is Double Board Certified, by The American Board of Podiatric Surgery, and the American Board of Podiatric Medicine. Dr. Powers is a Chicago native has been in private practice for 31 years and has served as a Podiatric Surgical Instructor at Mercy Hospital, Loyola Ambulatory, Oak Brook Surgical Center. He then became the Residency director of Sacred Heart Hospital in Chicago, IL. Dr. Powers is currently on staff at Mercy Hospital in Chicago and Northwest Surgicenter in Arlington Heights. Dr. Powers is a member of the American and Illinois Podiatric Medical Association and the CME chairman of the Advanced Foot & Ankle IPA. Dr. 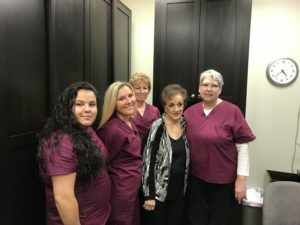 Powers offers a wide spectrum of services from general podiatric medicine; diabetic services that includes wound care and utilization of diabetic shoes and custom inserts; foot and ankle surgery with emphasis on treatments for heel pain. 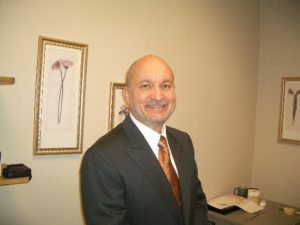 Dr. Brian Opensky DPM grew up in the Northwest Suburbs and completed his undergraduate degree from University of Illinois. He received his podiatric medical degree from the Ohio College of Podiatric Medicine. He completed his first surgical residency at the St. Louis Veterans Administration hospital. He then completed a 2 year surgical residency at the Pacific Hospital of Long Beach, California giving him exceptional surgical experience. Dr. Opensky has been practicing Podiatric medicine for 15 years, and is board certified by the American board of podiatric medicine. He practiced with a large multi-specialty medical group for over ten years. He earned the podiatry sub-department chairman position at Munster Community Hospital of Indiana. Dr. Opensky treats all conditions of the foot and ankle both surgically and conservatively, general podiatric medicine and is experienced in podiatric diagnosis. 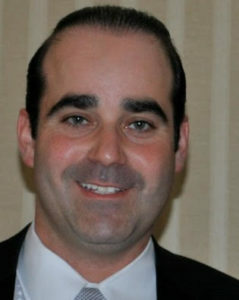 Dr. Opensky grew up in Glenview, IL and graduated from Glenbrook South High School. He is dedicated to serving people in his home region.